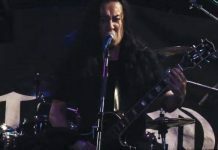 As ticket sales continue to climb, organizers of the Gibson AP Music Awards fueled by Monster Energy Drink have unveiled the latest batch of additions to its already stacked bill. Two-time AP cover stars Sleeping With Sirens will perform at the APMAs, making it their only North American live performance all summer. Attendees can also look forward to special appearances from Ice-T & Coco, Laura Jane Grace of Against Me!, Memphis May Fire, Motionless In White and I See Stars. On top of all that, Automatic Loveletter frontwoman and The Voice season two runner-up Juliet Simms will co-host the red carpet pre-show alongside a very special surprise guest to be announced soon. This special one-night event on July 21, 2014, held at the Rock And Roll Hall Of Fame And Museum at North Coast Harbor in AP’s hometown of Cleveland, will be broadcast live on AXS TV, and will feature performances from Fall Out Boy, Joan Jett & The Blackhearts, the Misfits, A Day To Remember, All Time Low, Brendon Urie of Panic! 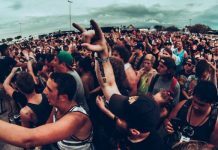 At The Disco, Asking Alexandria, twenty one pilots, Sleeping With Sirens and more to be announced, including some surprises. Hosted by six-time cover star Mark Hoppus of Blink–182, the show will bring together the most talented musicians for one epic night to honor outstanding acts and celebrate the power of music. Fifteen awards in total will be handed out, including Album Of The Year presented by Journeys, Artist Of The Year presented by Monster Energy Drink, Song of the Year presented by Epitaph Records, Best Guitarist presented by Gibson and Most Dedicated Fans presented by Fearless Records, along with a special Lifetime Achievement Award presented by Victory Records, an Icon Award presented by Blackstar Amps honoring Joan Jett and a Vanguard Award honoring Billy Corgan. Fans can cast their votes in 12 different categories at www.altpress.com/apmas. Voting ends July 15. Cleveland’s 115-piece Contemporary Youth Orchestra will be performing throughout the APMAs, both independently and through unique artist collaborations. Other confirmed artists making appearances include Billy Corgan (Smashing Pumpkins), Korn, Andy Biersack (Black Veil Brides), Ice-T & Coco, Laura Jane Grace (Against Me! ), Memphis May Fire, Motionless In White, Machine Gun Kelly, Frankie Palmeri (Emmure) and I See Stars with more to be announced. Fans that purchased VIP and Monster ticket packages will be invited to a pre-show boat party on the Goodtimes III, located right behind the Rock Hall. The boat sets sail at 1:30 p.m. and will include performances by Issues, Ghost Town and Marmozets, three bands recently featured in AP’s 100 Bands You Need To Know In 2014 special. 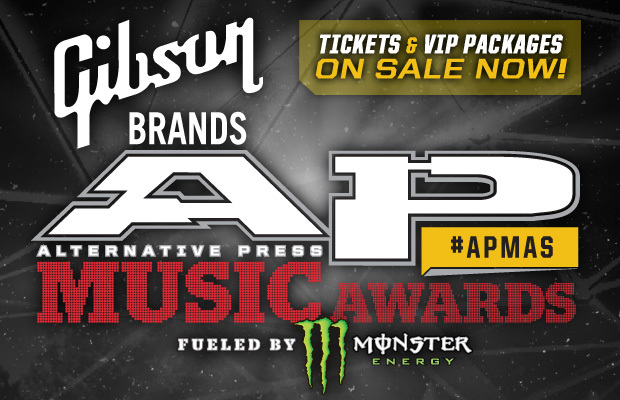 In addition to Gibson and Monster Energy Drink, sponsors of the AP Music Awards include Blackstar Amps, Epitaph Records, Fearless Records, Fueled By Ramen, Hopeless Records, Journeys, Onkyo, Roadrunner Records, Sumerian Records, Tascam and Victory Records.